BioTek has been working with Luxent for about 4 years now. They helped us with a major Salesforce implementation that was integrated with our ERP system and then rolled out worldwide. Big project that came in on time and within budget, Recently we partnered to develop a Company Community that is used by employees and distributors. 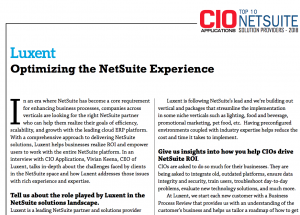 We had some specific requirements that Salesforce couldn’t handle but Luxent came up with creative solutions. We and our users are pleased with the outcome. 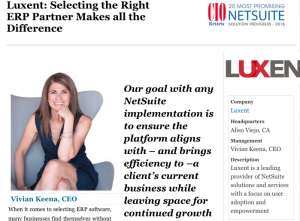 Luxent has been and continues to be a great partner of ours.